Replying to a question on the issue in the Rajya Sabha, Nirmala Sitharaman said a better price was ensured while finalising the deal for 36 Rafale jets and that there was no increase cost. 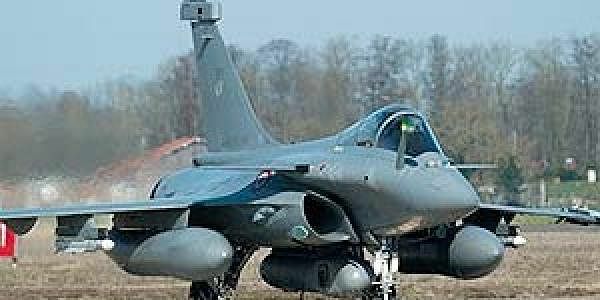 NEW DELHI: The government said today that there cannot be any comparison between the cost of the 36 Rafale fighter jets it inked with France and the price negotiated by the previous UPA regime for the original 126- fighter aircraft deal as the deliverables were different. Replying to a question on the issue in the Rajya Sabha, Defence Minister Nirmala Sitharaman said a better price was ensured while finalising the deal for 36 Rafale jets and that there was no increase in its cost. She, however, did not give the rates at which government is procuring the combat jets from France. "The cost of the 36 Rafale aircraft cannot be directly compared to the cost of the original MMRCA (Medium Multi Role Combat Aircraft) proposal as the deliverables are significantly different," she said. The minister said better pricing, better maintenance terms and better delivery schedules were ensured in the agreement India had signed with France last year for the jets. India had inked an inter-governmental agreement with France in September last year for the procurement of 36 Rafale fighter jets at a cost of around Rs 58,000 crore, nearly one- and-half years after Prime Minister Narendra Modi announced the proposal during a visit to Paris. The delivery of the jets is scheduled to begin from September, 2019. The Congress recently raised several questions about the deal, including the rates, and accused the government of compromising national interest and security while promoting "crony capitalism" and causing a loss to the public exchequer. The party had claimed that the UPA was negotiating a price of Rs 526 crore for each fighter jet under the MMRCA deal. As per the negotiation during the UPA tenure, 108 aircraft were to be manufactured in India after transfer of technology (ToT) and 18 jets were to be supplied in direct fly-away condition. Under the deal inked by the NDA government, each of the 36 Rafale jet will come at a price of around Rs 1,610 crore which includes a lethal weapons package. "In the present procurement, 36 Rafale aircraft are being procured in direct fly-away condition to meet the operational necessity of the Indian Air Force. There is no increase in the cost. Instead, a better price has been ensured," Sitharaman said. To a separate question, Minister of State for Defence Subhash Bhamre said 19 contracts amounting to Rs 11,739 crore were finalised by the Army to procure ammunition.